That jet’s a sure bet. It’s written in the Bible of Boy Bands: thou shalt have at least one member who goes solo. Think about all of those bands that managed to produce a member that made it on their own. On the charts today, former *NSYNC member Justin Timberlake is still racking up the hits. JC Chasez also charted away from the group. In Europe and the U.S., Gary Barlow and Robbie Williams managed successes away from Take That, with Mark Owen also leaving his mark to a lesser degree in his homeland. From more stealthier groups like Backstreet Boys to the second-string bands like O-Town, virtually every one has had one member that breaks away to varying degrees of solo success. Now, the latest example of the pop phenomenon comes from a member of a band who recently parted ways, but still wants a piece of the action. His name is Shane Filan, coming to us courtesy of the Irish boy band Westlife. They ranked highly all over the charts in the U.K. for more than a decade. Beginning as bubblegum pop act with a mix of original songs and light remakes, they turned into virtually an all-covers act about midway through their run, which gave them a mature edge but an increased amount of flack too. The group broke up last year after a Greatest Hits album and one final tour together. They were never fully embraced by a U.S. audience under RCA Records, going as high as #20 on the Hot 100 with “Swear It Again” in 2000 after a slow run upward. The label also sent “World Of Our Own” to CHR radio during the summer of 2002 and was a hair away from making the pop top 40, only to be blocked out by the surging “A Moment Like This” by then-American Idol winner Kelly Clarkson. Her coronation anthem debuted the week of their maximum push and thus, priorities were shuffled, and they lost out, never to be heard from on this soil again. Two members of the now defunct act have since recorded alone. In 2002, Nicky Byrne participated on the single “Here Come The Good Times”, Ireland’s official anthem for the 2002 FIFA World Cup. It went to #1 there for one week in May. In 2004, Brian McFadden left the quintet to pursue his own solo career, which landed him three top ten singles in the United Kingdom (including the #1 “Real To Me”) and two number-one hits in Australia: “Almost There” with ex-girlfriend Delta Goodrem (2005) and “Just Say So” with Kevin Rudolf (2010). His glory days are far behind him and his high peaks are sales are virtually non-existant now. So, I guess third time will hopefully be the charm for Mr. Filan and his attempt at a long and lasting career on his own, and thankfully, he’s off to a good start with his debut release. “Everything To Me” isn’t out in the United Kingdom until August 25, but a music video for the song premiered on VEVO and YouTube over the weekend. It has since received about 47,000 views. The song is a charming reminder of what made Westlife popular in the first place. It’s a sweet and carefree ode to the one he loves. Though he admits sometimes finds himself lost in at all, utilizing the first verse to compare life to a jigsaw puzzle, he comprehends that the idea taking things slowly with his girl will bring them the best in their relationship. He sings, “I don’t need the sunshine shining on my face/And I don’t need perfection to have the perfect day/I just want to see you happy, a smile on your face/Nothing else matters ’cause you’re everything to me.” Precious! Musically, it’s another take on the breezy island sound that Jason Mraz made popular again with “I’m Yours” and Train with “Hey, Soul Sister”, with more of a reliance on the background vocalists as well as a horn section in the final segment of the song. Though it does take some time to build, the ending ultimately soars, creating a pleasant melody and composition that will resonate with more than just his former group’s core audience. 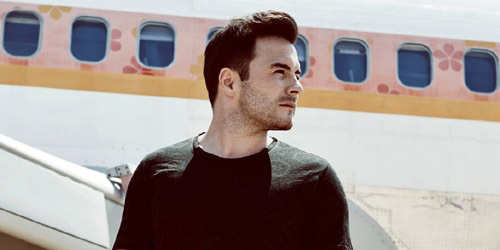 Filan’s release date also features new singles from Bastille, Olly Murs and Rizzle Kicks, but I doubt he will be totally forgotten. Whether he makes it to the U.S. or not this time around is another question, but considering his clip is available to watch here, I’d like to think that maybe it could happen. It would do rather well at the adult contemporary formats. Time will tell if the label wants it to be pursued as I do. Until then, Shane Filan is doing his “everything” to get his name back out there.